Luxurious And Comfortable, Couples & Kids Come And Enjoy London From Our Home! Luxurious and comfortable, come and enjoy London from our house. With a village feel in the city, the location has easy transport links to London Underground or Railway Services. A tube or train will take you to central London in just 20 minutes! The house dates back to the early 1900s and it's 'boomerang' layout and unique spiral staircase give it a special look and added space - great for kids and adults alike. Although it has been renovated since, it retains some original features, such as the fireplace. It is conveniently tucked away down Castelnau row footpath and is the biggest of 7 cottages, in this very calm spot. The house sleeps 4 comfortably. Hi! My name is Farid, and that's my wife - Tamima, and our 2nd child, Sofia, before she was born. I grew up in London, UK and Tamima grew up in Quebec - the capital Quebec province - Canada. These days we travel a lot and are often in Morocco and Canada and so we love renting out the house and meeting wonderful guests from all over the world. We speak English, French, Arabic and we're trying to learn Spanish. Gracias y hasta pronto! The house is well insulated and stays relatively cool in the summer and warm in the winter. The best thing about it is the 10 minute walk across Hammersmith Bridge. The river is beautiful to cross by foot! On street - Lonsdale road and surrounding roads. Parking is regulated from 10 am - 12 midday, Mon-Fri. Parking Permit Scatchcards provided (located in drawer of side table next to front door). Wonderful, comfortable place to come back to! We had such a lovely time staying at Farid’s place. Perfectly situated to grab a bus, great restaurants and amenities close by. Farid was always available for questions and was a fantastic host. We feel lucky to have had a chance to stay in this wonderful space! Spacious comfortable apartment in a quiet area. Location was ideal. Quiet area with street parking if your renting a car. Host answered all our questions with regards to parking laws. The apartment was spacious and very comfortable. The beds were comfortable. The refrigerator is small for us. Our perishables barely fit in the refrigerator and needed constant re-arranging. We cooked all of our meals and a regular size refrigerator would have been better. We thoroughly enjoyed our stay and do recommend this property. We enjoyed our stay here very much. The apartment was comfortable and the hosts were so nice. They left fresh flowers and food which made the first morning much easier. Fresh bread, eggs, milk, etc. allowed us to rest instead of trying to find a store right away. The apartment is so close to the bus which gets you to the tube. Just a 2 minute walk. Lots of restaurants near by too. The beds were very comfortable and there is great storage. the bedroom. Floor and counter tiles and grout are real old but what isn't old in England? The wood flooring in the living room and bedroom is new and very beautiful. All in all, a great place to stay in London! Cottage sympathique, bien situé (à 10 minutes du Tube). Maison confortable, joliment décorée et bien située. Quartier très cosy. A quelques 10 minutes de la Station d'Hammersmith qui vous mène facilement dans toutes les directions. De même, autour de la station de nombreux commerces et restaurants. C'est donc une résidence très favorable à un séjour londonien. Si vous avez un véhicule personnel, il est possible de le garer gratuitement dans la rue. Etant donné sa position il est facile de sortir de Londres vers l'ouest du pays (Heathrow à 20 minutes, Oxford à 1 heure, etc). Vous ne regretterez pas votre séjour dans ce cottage. Patrice was a great guest overall. A polite and timely communicator from the start, his family left the house clean and tidy. A highly recommended guest for any host! We really enjoyed our stay !!! 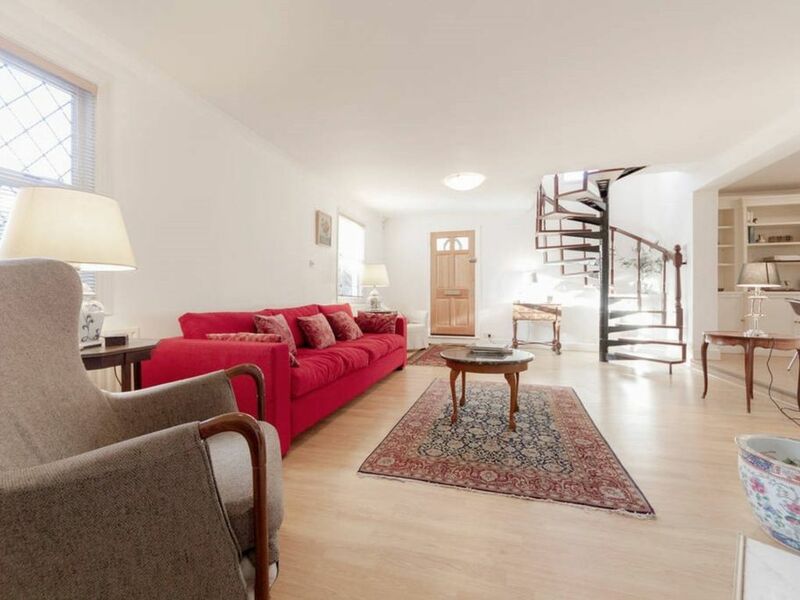 Close to easy access to tube and all major london attractions. The apartement is also close to local shops and restaurants. Us feel at home. Thanks Farid. Thank you Christelle, I'm thrilled you enjoyed your stay at the house. You're always welcome!